Recently a federal court in Northern California found that a document which one party claimed was a non-binding proposal was really a binding ground lease agreement with purchase options, which resulted in a 16 million dollar damage award. 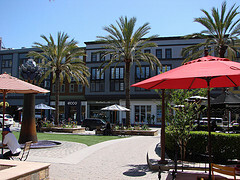 The proposal concerned development of the Santana Row project in San Jose. Generally, creating of a valid contract requires mutual assent. An “agreement to agree, ” without more, does not create a contract. In this case the court found more. In First National v. Federal Realty, First National controlled the property but did not want to sell it yet. Federal unsuccessfully offered to buy, and the parties entered negotiations for a ground lease that lasted several years. They exchanged several proposals, including a “counter proposal” and a “revised proposal.” Finally the both signed a document titled “Final Proposal,” a one page document. Earlier proposals stated that they were non-binding; the final did not include this language. It stated that it was “accepted by the parties subject only to approval of the terms and conditions of a formal agreement,” and Federal was to prepare a formal legal agreement. And it provided that First National could require Federal to buy the property any time over a period of ten years; and that Federal could force First National to sell at the end of ten years (the “Put and Call”). Federal never prepared a formal agreement, and decided it did not want the lease. The court First looked at the specific language of the Final Proposal. It did not include the standard non-binding clause, and said that its terms were “hereby accepted by the parties subject to” only a formal agreement. The court then looked at the surrounding circumstances. There was the passage from counter to revised to final proposal. A lease agreement such as this is required to comply with the Statute of Frauds. This requires that there must be a signed written memorandum that states the essential contract terms with reasonable certainty. Federal argued that the proposal fails this test because it is missing a term for the duration of the ground lease. But the court noted that the term does not have to be express in the contract, but could be explained by extrinsic evidence. Extrinsic evidence is something beyond the written words which is used to explain terms that were understood by the parties but are unintelligible to everyone else. Here the ten year period of the “Put and Call” implies a ten year duration. Parties involved in extensive negotiations and are concerned about letters of intent should consult with an experienced Sacramento and El Dorado business and contracts attorney who can guide them in making sure the documents accomplish what they intend for them. The court here found all the essential terms to make a binding contract, which resulted in a 16 million dollar surprise for Federal.